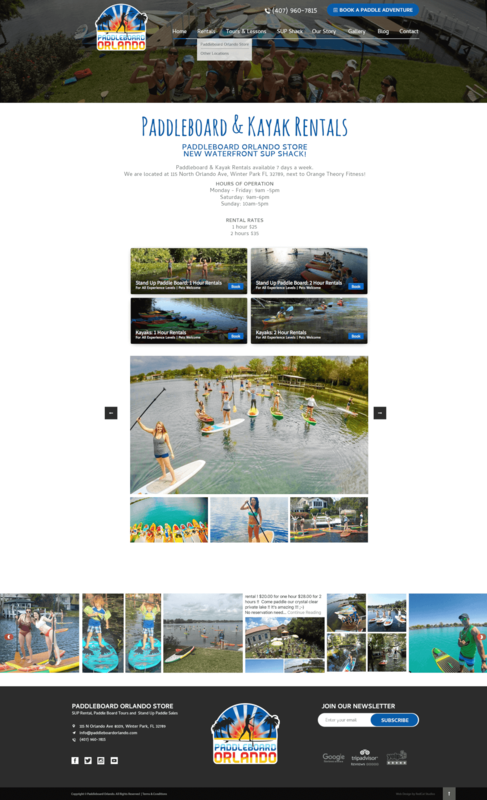 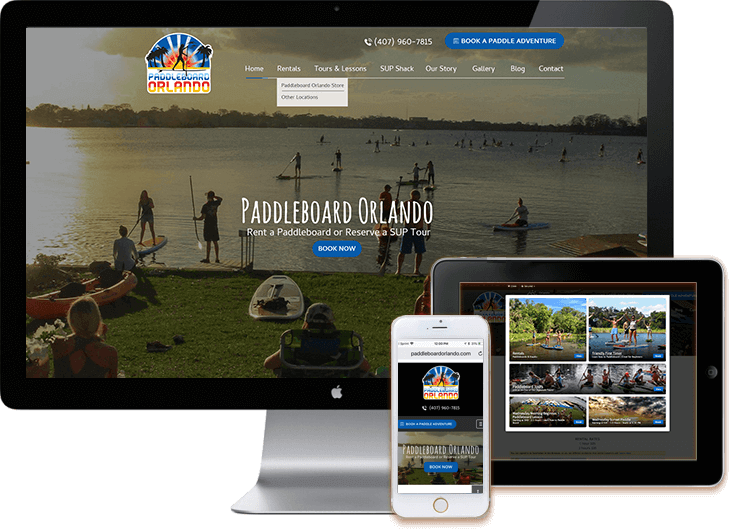 Orlando Kayak and Paddleboard rental and touring company in need of a web re-design and online scheduling system. 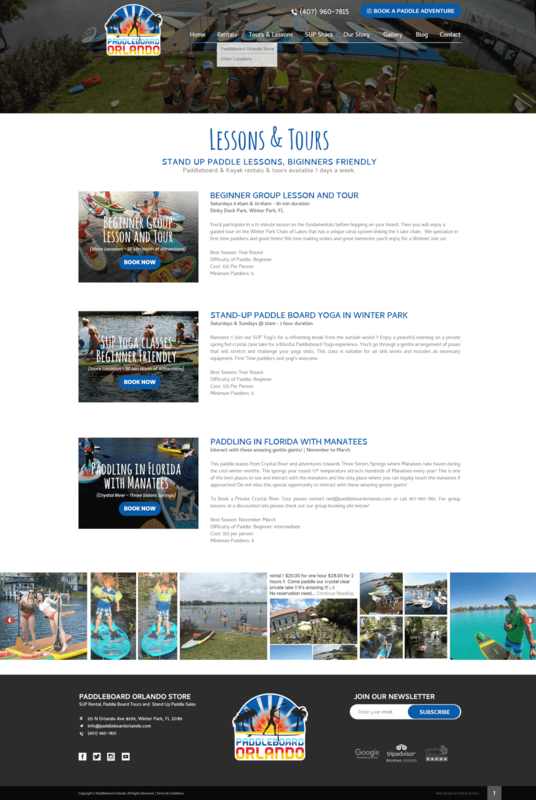 We re-designed their web site on WordPress including FareHarbor reservation system integration, Organic SEO, mobile responsive, along with live TripAdvisor, Yelp Reviews, Google and FaceBook reviews. 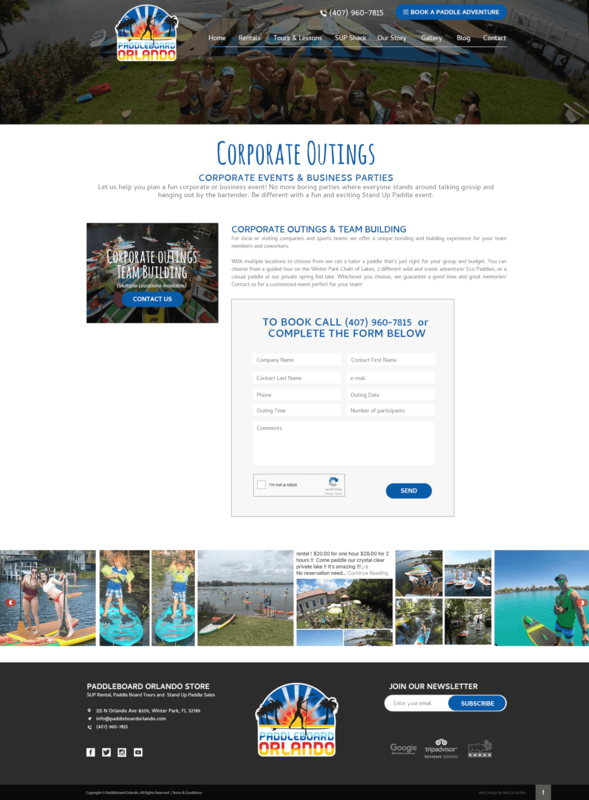 Sales and traffic have increased and booking online are now up 60%! 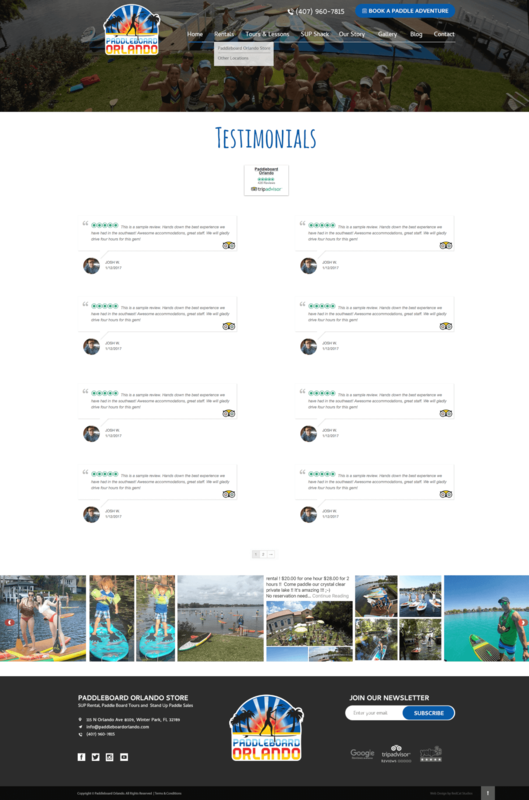 Thanks for letting us help you achieve your goals!